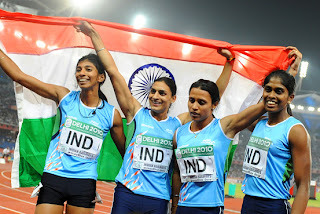 It disappoints me that a country of more than a billion (INDIA) can't create few OLYMPIC runners. For the ones who are trying there is no support. Athletes banned for Doping. Did they know they were doped ? We feel better that things are improving compared to the past. But is that enough ? given the potential India has and that it could leverage if focused and have people with Vision for Olympics. Why is that ? Can we do something about it ? Can you help me Change it ?